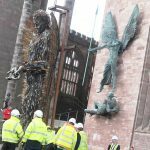 A huge sculpture made of 100,000 confiscated knives arrived at Coventry Cathedral in March to raise awareness around rising knife crime. 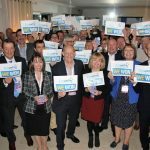 Major plans in Coventry, Nuneaton and Leamington had their moment in the international spotlight as business and civic leaders flocked to the world’s largest property show in march. 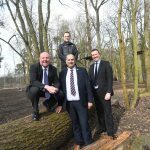 Work is forging ahead on a new tree-top obstacle course at Coombe Abbey which is on track to open to the public next month. 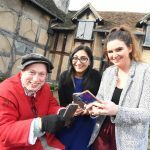 Advent Communications has assisted in the launch of a social media competition to mark Shakespeare’s birthday celebrations for 2019. 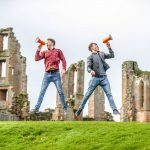 A new video-sharing platform that gives power back to creators was the subject of national interest last Sunday. 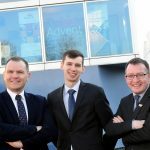 Advent Communications has this month added to its ranks with the arrival of Account Manager Sam Jackson. 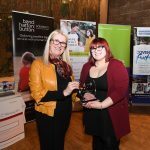 An award-winning apprentice has spoken about how her role helped transform her life as part of National Apprenticeship Week. 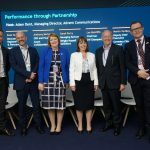 Advent Communications has secured widespread coverage for the region’s presence at MIPIM – the world’s largest property and investment show which takes place in France next month. 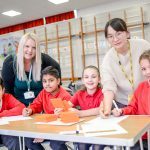 Advent took stories from the worlds of culture, business and education into homes across the region with coverage on BBC Midlands Today. 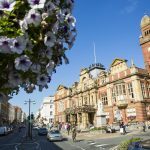 Advent has helped Coventry and Warwickshire achieve national profile in one of the leading broadsheet papers – again! The Advent team has helped transform our business with their expert advice and service.